Beautifully appointed four star serviced apartments in the heart of London? ?s Square Mile. The studio, one bed and two bed flats here in Queen Street, EC4R, benefit from free wifi, a weekly maid service, a work desk and wooden floors with contemporary furniture. Excellent one, two and three bed serviced apartments just a minute's walk from St Paul's Cathedral in a peaceful courtyard setting. These luxurious four star apartments have hard wood floors, fully equipped fitted kitchens, large windows and spacious living areas. 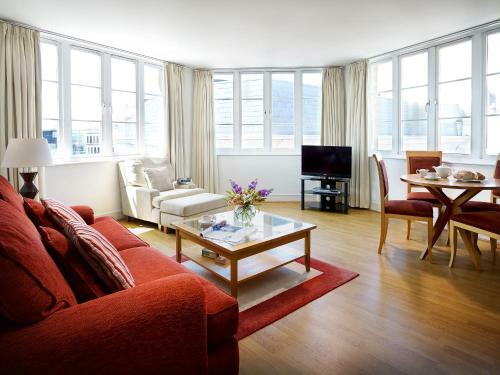 Stylish serviced apartments at a wonderful location in Lovat Lane, close to Monument. A choice of studio, one bed or two bed is available, all beautifully furnished and offering a well equipped kitchen.